One of the best resources we have in our trade, to help drivers maximise their working skills is the free UCGup account on Twitter. And yet, only around 10% of drivers are using it. There are a lot of older drivers like myself who sometimes need help with technology. So I've put together this guild to show how simple it is to get on the UCGup account. UCGup, was born out of need to reverse the elitist attitudes that saw our trade divide and devastated for the best part of a decade. In a politically motivated move against certain new boys on the block, a number of high profile drivers were expelled from the Tweet a London Cab "CABup" account. The UCG then decided to set up and sponsor their own account. It was decided from day one, to make the account non political and available free to every driver in the trade, regardless of which org, Union or group the driver supports. So, what are the attributes of being on this service? The whole service depends on the actions of all the subscribers. 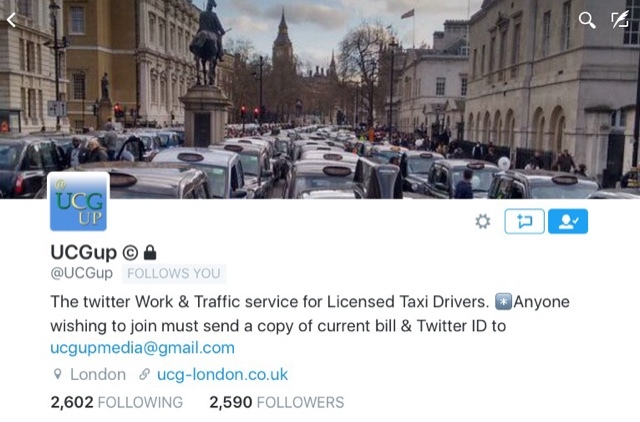 If Paddington/Kings Cross/Waterloo etc...need Taxis, the observing driver sends a direct message to the app. This is then sent out as an update to all the subscribers. Same thing with ranks at Hotels, bars, restaurants, clubs, in fact anywhere people are seen looking for Taxis. Then their are the traffic updates, jams, roadworks and RTAs. After being on the service for just a few days, you'll find it will become an essential piece of kit to make your working day/night easier. So how do you get on this service? First, you need to have a Twitter account installed on your smart phone. But don't worry, you don't have to follow anyone except UCGup, it's your call. 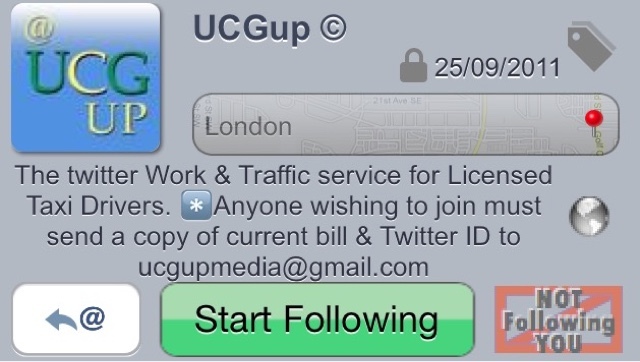 Once on Twitter, you will need to search for the UCGup account and click on the follow button. You won't be accepted straight away. Next, you need to send a photo of your Bill and Badge and Twitter ID to ucgupmedia@gmail.com. Once accepted you will have to ability to start receiving regular up dates from UCGup. Once you get the hang of things you can advance to rhe next level and start receiving notifications on your phone without actually having the app on screen. Go to notifications on your phone and choose Twitter, click on allow notifications. You can also choose to turn on the sound alert and notification centre, but that's optional. 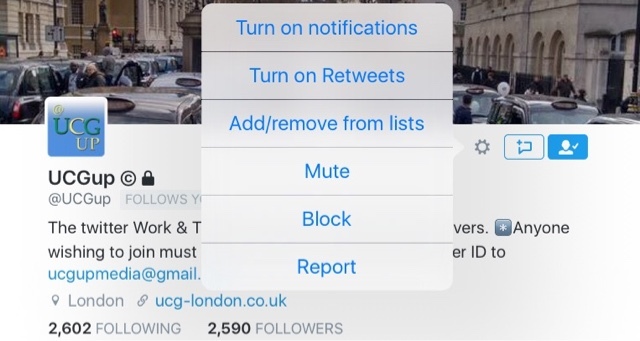 Now go to the UCGup Twitter page click on the settings wheel and turn on notifications. You will now receive notifications from UCGup, regardless of whatever program is running on your phone or tablet. 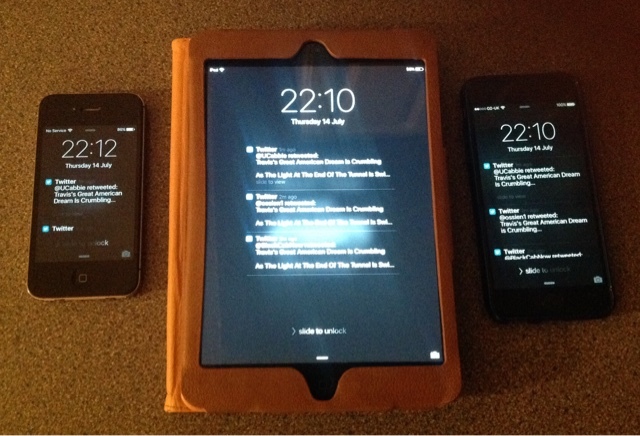 You will even get updates while the phone is in lock screen mode. And that's it, it's that simple! But then to be honest, the best solutions normally are the simple ones.